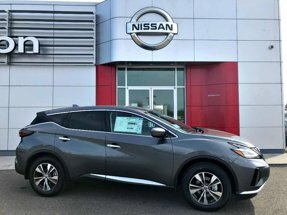 Description This outstanding example of a 2019 Nissan Murano S is offered by Bill Robertson Nissan. This SUV gives you versatility, style and comfort all in one vehicle. Few vehicles can match the safety and comfort of this AWD Nissan Murano S. With enhanced performance, refined interior and exceptional fuel efficiency, this AWD Nissan is in a class of its own. This is about the time when you're saying it is too good to be true, and let us be the one's to tell you, it is absolutely true. The Nissan Murano S will provide you with everything you have always wanted in a car -- Quality, Reliability, and Character.